Samsung, Sony and Nokia announced new flagship smartphones at the ongoing MWC tech show in Barcelona, and on Tuesday, it was Asus’s turn to join the party. 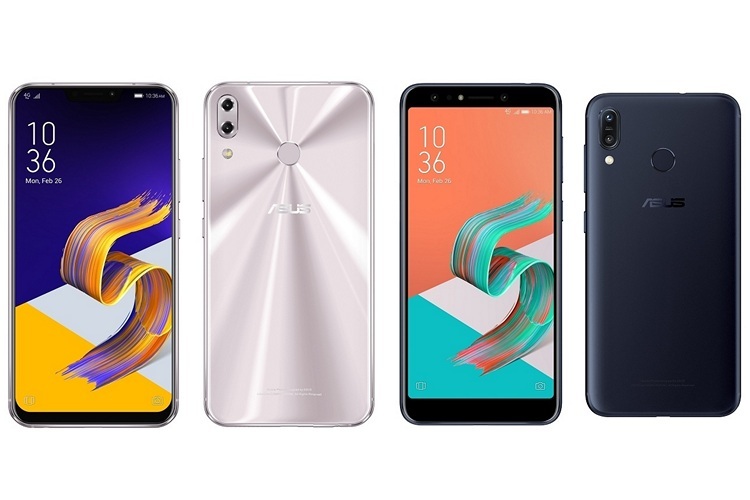 The company had already listed the ZenFone Max Plus (M1) on its website yesterday, but at the event itself, the company unveiled four more smartphones, including three new ZenFone 5 devices – the ZenFone 5Z, ZenFone 5 and ZenFone 5 Lite. The other handset unveiled at the event was the ZenFone Max (M1), a smaller variant of the Max Plus (M1). All the new ZenFone 5-series smartphones offer full-screen displays, dual-cameras, Face Unlock, and AI-enabled features “to provide users with a unique slate of intelligent camera, communication and convenience features”, according to the company’s CEO, Jerry Shen. They also ship with Android 8.0 Oreo out of the box, but with Asus’ proprietary ZenUI 5.0 on top. All devices will also offer dual-SIM functionality, and have an additional dedicated microSD slot that will support cards of up to 2TB. What’s really noticeable, however, is just how much ‘inspiration’ Asus took from Apple while designing its smartphones this year. Not only is the company rolling out its own take on Apple’s Animoji with its so-called ‘ZeniMoji’, but even more strikingly, the ZenFone 5Z and ZenFone 5 both sport the distinctive iPhone X ‘notch’ that makes them look remarkably similar to Apple’s flagship, although, they will not be the only ones to remind you of the iPhone X this year. 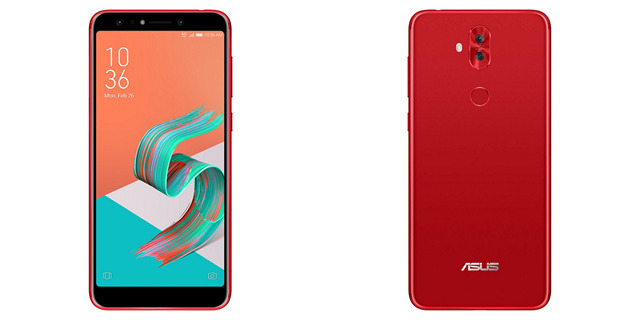 The Asus ZenFone 5Z (ZS620KL) is the flagship smartphone of the series, and features a 6.2-inch full-HD + (1080×2246 pixels) display with an unusual 19:9 aspect ratio. It is powered by the Snapdragon 845 SoC and sports a dual-camera setup at the back, with the primary sensor being Sony’s 12-megapixel IMX363. The camera comes with an f/1.8 aperture, 83-degree field of view, 24mm equivalent focal length and a Softlight LED flash. The additional rear camera has an 8-megapixel sensor with an 120-degree wide-angle lens, an f/2.2 aperture and a 12mm equivalent focal length. The front-facing camera has an 8-megapixel sensor, and comes with an f/2.0 aperture, 84-degree field of view, and a 24mm equivalent focal length. Connectivity options on the ZenFone 5Z include 4G VoLTE, Wi-Fi 802.11ac, Bluetooth v5.0, NFC, GPS/ A-GPS, FM radio, USB Type-C and 3.5mm headphone jack. It carries a fingerprint scanner on the back that Asus claims unlocks the phone in just 0.3 seconds. It has a 3300mAh battery with support for AI Charging. The ZenFone 5Z has a starting price of €479 (around Rs. 38,400) for the base variant with 4GB RAM and 64GB ROM, but will also be offered in 6GB + 128GB and 8GB + 256GB options, although, there was no official announcement about their prices. It will be available in Midnight Blue and Meteor Silver color options. The Asus ZenFone 5 (ZE620KL) and will be powered by the Qualcomm Snapdragon 636 SoC. It will come with options of either 4GB or 6GB of RAM, but with only 64GB of built-in storage. The rest of the hardware specs of the ZenFone 5 will have the exact same cameras and display as the ones on the ZenFone 5Z. It will also be offered in the exact same color options. 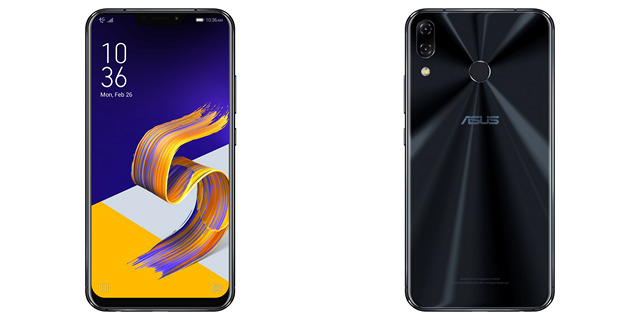 The ZenFone 5 Lite, which will be available in North America as the ZenFone 5Q, features a slightly smaller 6-inch full-HD+ (1080×2160 pixels) IPS display and will be available in two different variants powered by two distinct chipsets. While the more premium model will have the Snapdragon 630 under the hood, there will apparently also be a more affordable version that will be powered by the Snapdragon 430 SoC. 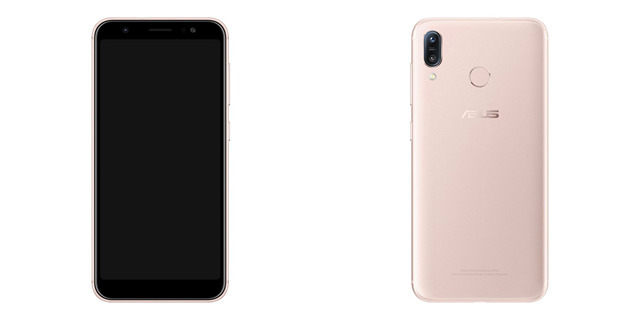 The Asus ZenFone 5 Lite will sport dual-cameras on both the front and back. While the rear module will be a 16-megapixel + 8-megapixel affair, the selfie-cam on the front will have an 8-megapixel sensor alongside the 20-megapixel Sony IMX376 sensor. The device will carry a 3,300mAh battery and rear-mounted fingerprint scanner. It will be available in Midnight Black, Moonlight White, and Rouge Red color options. The ZenFone Max M1 features a 5.5-inch HD+ (720×1440 pixels) IPS display with an 18:9 aspect ratio, and will be offered in two variants – one powered by the Snapdragon 425 and another, by the Snapdragon 430. Both versions will have 3GB of RAM and 32GB of storage that will be expandable by a microSD card of up to 256GB. The device will have a fingerprint scanner on the back, while a 4,000mAh battery will keep the lights on. Imaging options will include a dual-camera setup on the rear and a front-cam that will vary by region. The rear camera will have a 13-megapixel primary sensor with an f/2.0 aperture, dual-LED flash and PDAF. The secondary 8-megapixel sensor is there to capture wide-angle shots, and comes with a 120-degree wide-angle lens. Connectivity options include 4G VoLTE, Wi-Fi 802.11 b/g/n (dual-band, 2.4GHz and 5GHz), Bluetooth v4.0, GPS/ A-GPS, Micro-USB, and a 3.5mm headphone jack. 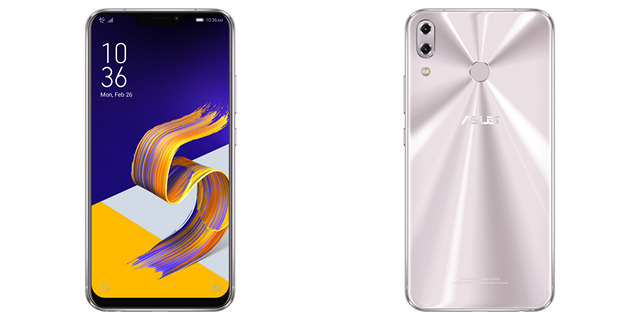 The company didn’t reveal the prices of the ZenFone 5 (ZE620KL), ZenFone 5 Lite, or the ZenFone Max (M1), but going by their spec-sheets, we expect the company to price them at a significant discount to the 5Z. In terms of availability, the ZenFone 5 Lite will start shipping in March, followed by the ZenFone 5 in April. The flagship ZenFone 5Z, however, will only go on sale in June.